On my way into the new year, with lots of things happening! 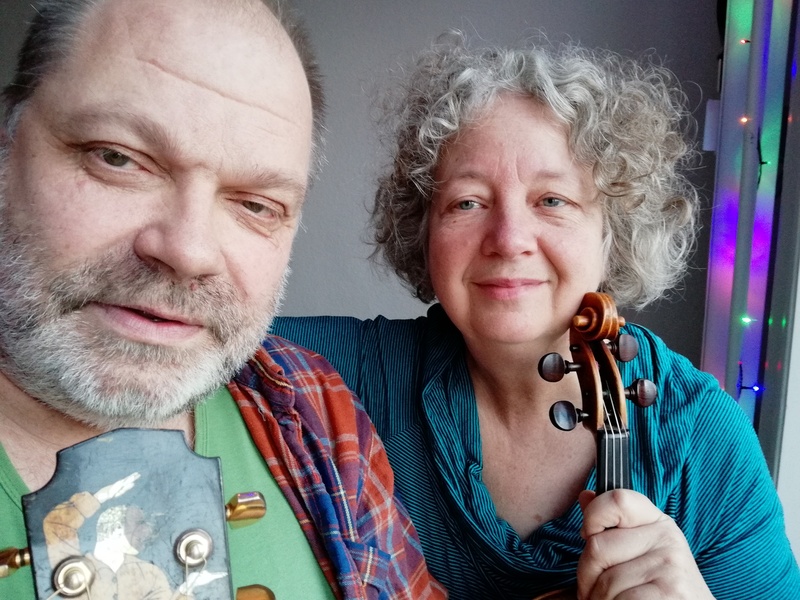 My good friend the great Seattle fiddler Ruthie Dornfeld and I, posing for a selfie in December 2018. It is always a very special experience for me to look back on the year that past, and forward to the year that is coming – and often one can find plenty of time to do just so, during the days between Christmas and new years eve. I have a lot of really exiting things happening these days. I am looking back on an inspiring teamwork with good colleagues developing radio and podcasts about the Danish roots, folk & trad music scene in Denmark. 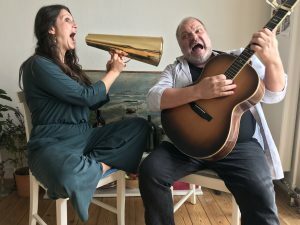 You can follow the results of that cooperation at RadioFolk.dk, and on iTunes and Spotify, where you will find podcasts like ‘Katten i Sækken – en podcast-serie om den danske folkemusikscene lige nu’ (‘The Cat in the Bag – a podcast series about the Danish folk music scene right now’) and ‘Spillefolkenes Hemmeligheder – en rejse i dansk folkemusik’ (The Secret of the folk musicians – a journey in Danish roots, folk and trad music’). 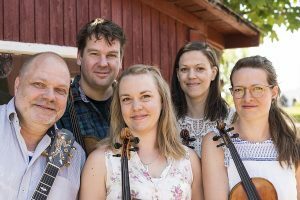 Finally you can listen to ‘Folk Live’, a show hosted in English and featuring Danish bands recorded at Tønder Festival – and fortunately there is more to come. This summer we started a association called ‘Mediehaven’ (The Media Garden) which will be running the media platform RadioFolk.dk. Mediehaven will at the same time be working on strengthing Danish roots, folk and trad music in the medias in Denmark and around the world, and I am very proud to be the chairman of that association – this is a cooperation that I expect a lot from. The fact is that RadioFolk.dk’s facebook page is now the largest folk music media in Denmark, and probably the largest media in the world, focussing on the Danish roots, folk and trad music scene. More than 3.000 followers are getting their daily information and inspiration from that page. You will find it here! When we speak live concerts, a lot is happening in 2019, and I am planning to tour with different musical constellations in Denmark, Germany, Canada and the US. Mia Guldhammer and I just went to the studio to record a handful of songs for making videos, and for iTunes and Spotify. Amongst the newer things happening is my very inspiring cooperation with the great Danish singer and tradition carrier, Mia Guldhammer, and my renewed musical partnership with my good old friend and colleague, Seattle violinist Ruthie Dornfeld, with whom I have been playing in American Café Orchestra for many years. Mia and I are working hard to develop our repertoire, and will be doing our first concerts in Denmark and Germany during 2019. Together with Ruthie – whom I have known and worked with ever since the eighties – I will be performing in Denmark, Germany and the US, during 2019, and that of cause, I am also looking very much forward to. The cooperation with accordion player Mette Kathrine Jensen and violinist Kristian Bugge in the trio Jensen, Bugge & Høirup, is somewhat influenced by the three of us being so busy with other projects, but we are looking forward to a number of concerts in Denmark in 2019, and a tour in June featuring the old Danish-American violin and accordion legend Dwight Lamb, in the American Midtwest – right in the middle of Trump land. 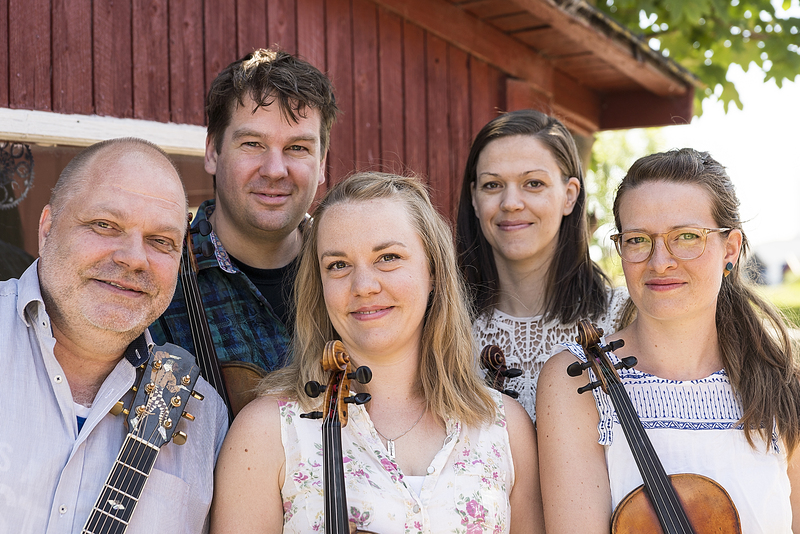 And then of cause there is the Scandinavian String Alliance, a project where Kristian Bugge and I along with the pan Scandinavian trio Fru Skagerrak to tour in Canada during July 2019 – and there is a lot more to tell about, but I will make sure to write about all that in this blog during the next few month. Finally I will wish you all – family, friends, colleagues and associated – a Merry Christmas, and a Fantastic New Year – I’ll see you all out there!